Atta.45 Printing AB in Järfälla (near Stockholm) is one of the biggest printing companies in Sweden, offering a large range of graphic arts services, from offset to digital printing, from bookbinding to large-format and siplay printing including service, dispatch and logistics from one hand. 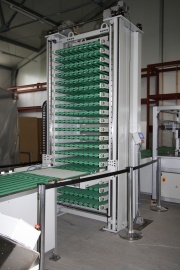 Recently, the company expanded its range of machines in the postpress area with a Baumann-Wohlenberg cutting system. 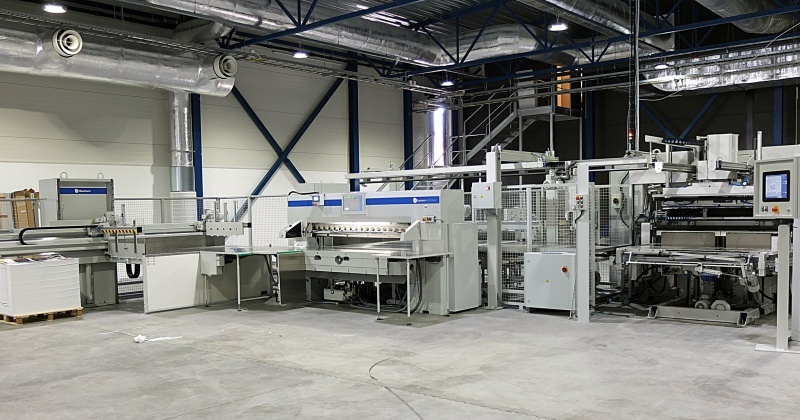 the cutting system consists of a Wohlenberg high-speed cutter WB 225 with a large-format unloader Ba 7 and an automated jogging system BASA 7. Moreover, Atta.45 decided to install a Baumann pile turner BSW 7 LDV as well as a Baumann restacker AS 1000. 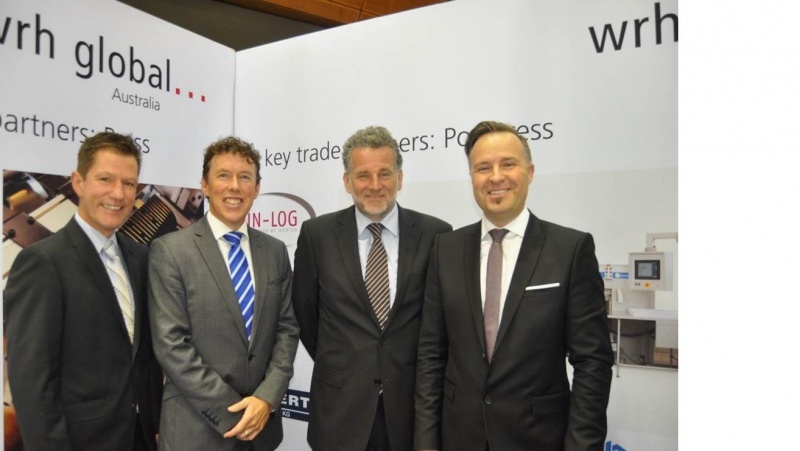 In view of drupa 2016, in October 2015 a conference trip took place through Latin America, organized by the Association of German Machinery (VDMA). Following the slogan "high-tec for the printing industry - getting ready for drupa", the tour started on October 15 in Bogota, Colombia. The event continued in Lima, Peru (October, 16) and Quito, Ecuador (October, 19). The last stop was in Mexico City on October, 21. During the presentations, which were held in Spanish language, the main focus - in addition to classical BAUMANN WOHLENBERG product range – was on innovation and brand-name products with unique selling features. The concept worked: The numerous participants followed the presentations with great interest, the catalogues quickly snapped up and the first inquiries due to the presentations have already been received. Since May 1, 2015, WRH Global Australia, with their headquarters in Matraville (New South Wales), Australia, is the exclusive distributor for Baumann-Wohlenberg machinery within Australia and New Zealand. The cooperation started on the occasion of this year's Printex in Sydney. The products of Baumann-Wohlenberg perfectly complete the existing product portfolio of WRH Global Australia within the finishing field. During Interpack 2014, Baumann has already presented a top-quality bagging machine. This week, the new website www.baumannpacking.de has gone online, dealing exclusively with the new Baumann vertical form, fill and seal machines bvs. Baumann not only offers the mere form fill seal machine, but also complete feeding systems („before line“) as well as extensive options for the removal („end of Line“). Our latest video is online. It shows a complex cutting-system, equipped with a Baumann Multishelf Buffer. This system is above all interesting for all those companies, which process a huge number of smaller print-runs on collective sheets. It helps to minimize the down-times of the system, while increasing its productivity. New year, new sales partners. With the turn of the year Baumannwohlenberg has fulfilled some enhancements in the international sales network.